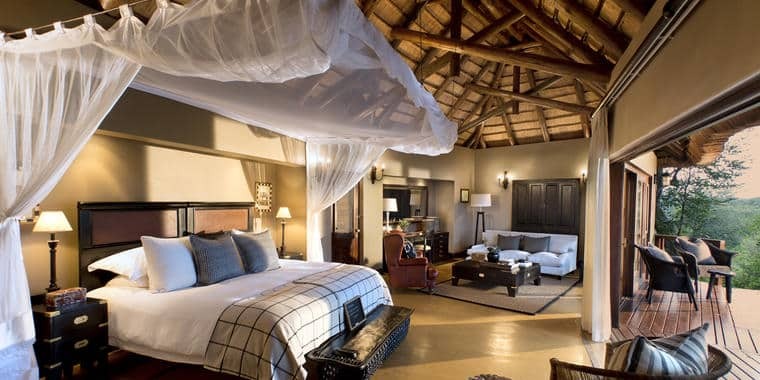 Tinga and Narina are twin luxurious thatched properties on the banks of the Sabie river in a private Kruger concession. 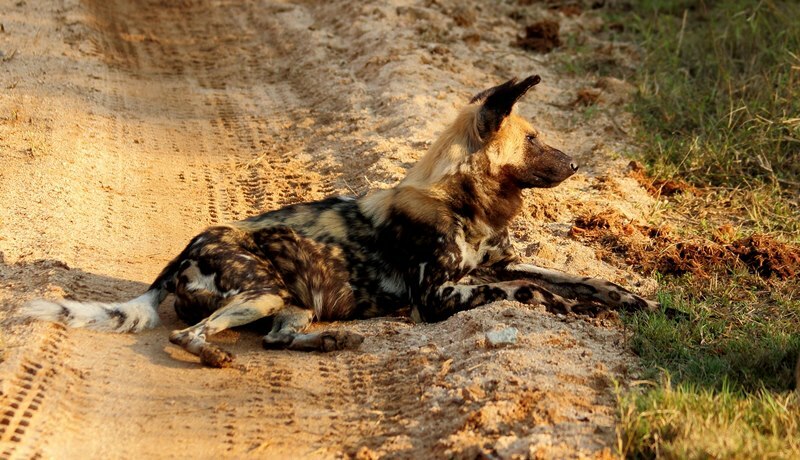 Part of Lion Sands, they also traverse in to Sabi Sand, making for a rich game-sighting experience. 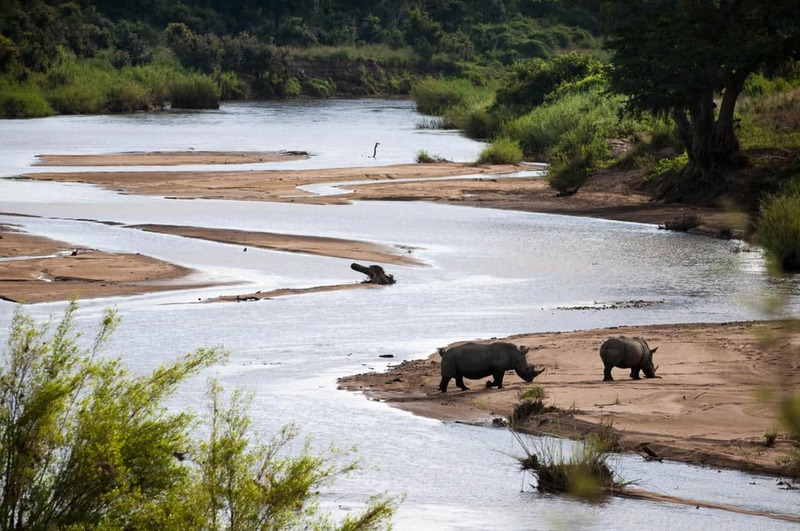 An excellent Big Five area, with the highest concentration of black rhino in South Africa. 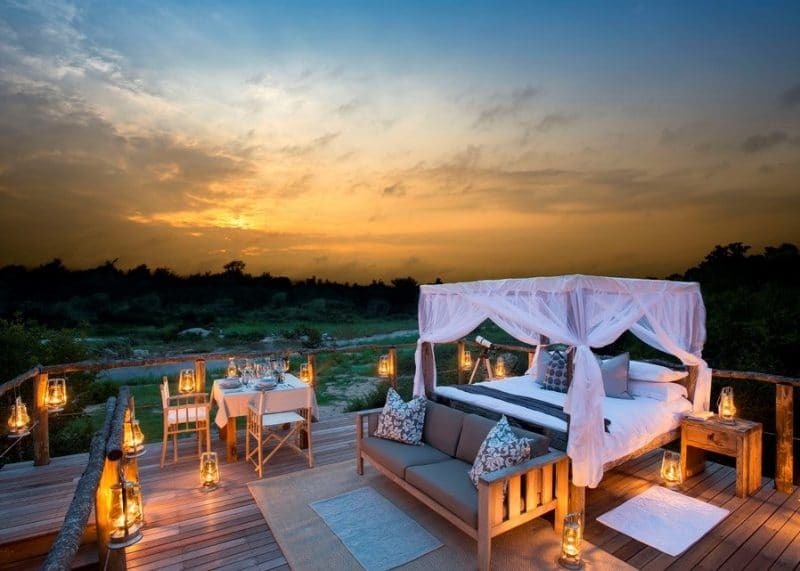 Across 4 lodges in both reserves, Lion Sands has a maximum of 16 vehicles traversing 5,000 hectares of private land. 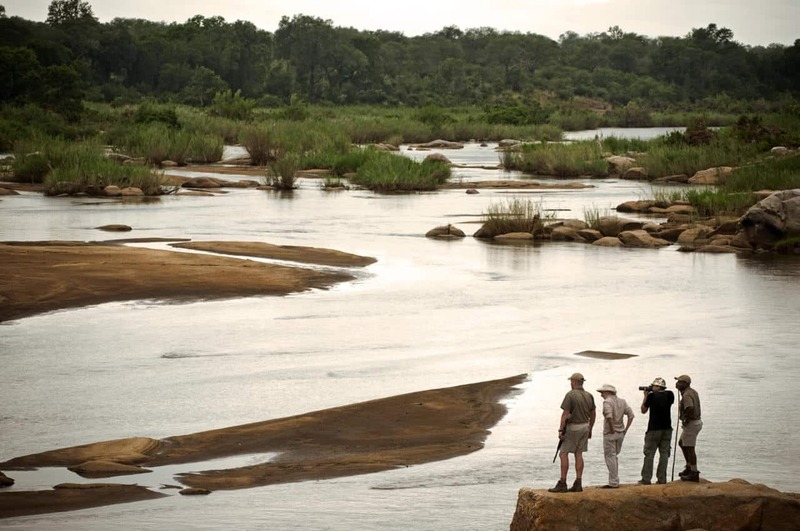 Along with Kirkman’s Camp, Lion Sands is unusual in having access to both the Sabie and Sand rivers, enhancing game viewing opportunities. Walking is fantastic and makes great use of the extensive riverbanks on the property. 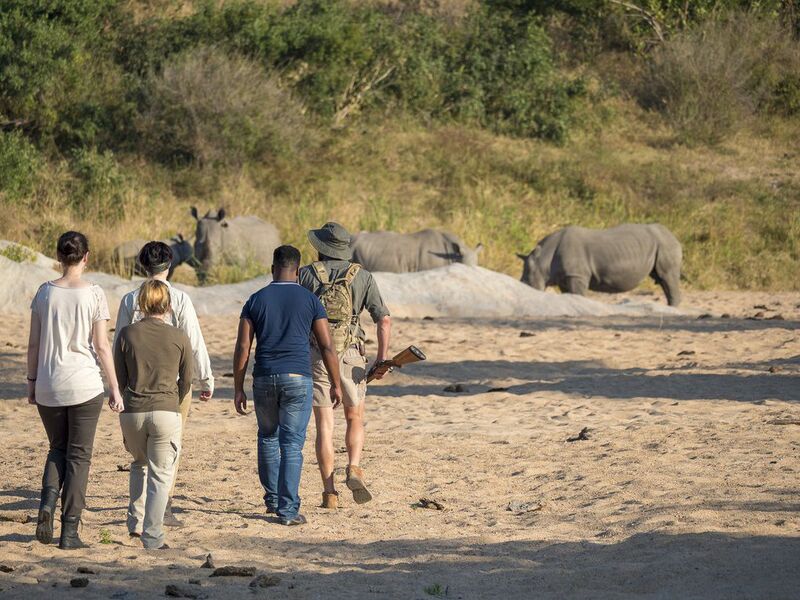 The “hippo walk” is popular. 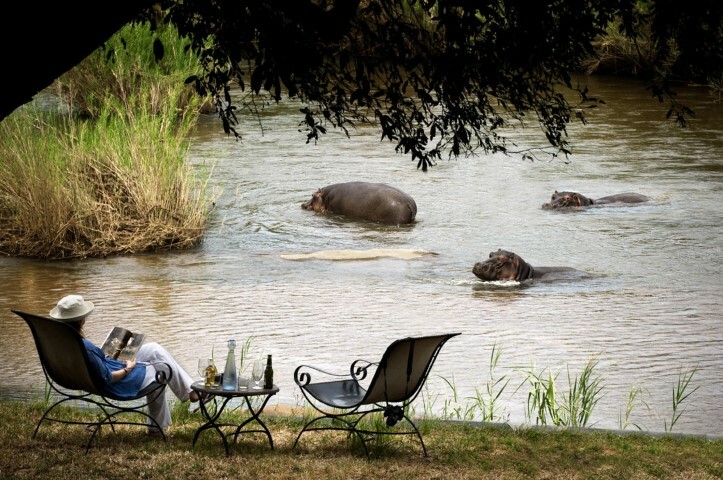 The lodges are similarly specified and share traversing, with activities such as riverside dinners. Narina is traditional in decor, Tinga colonial in inspiration. 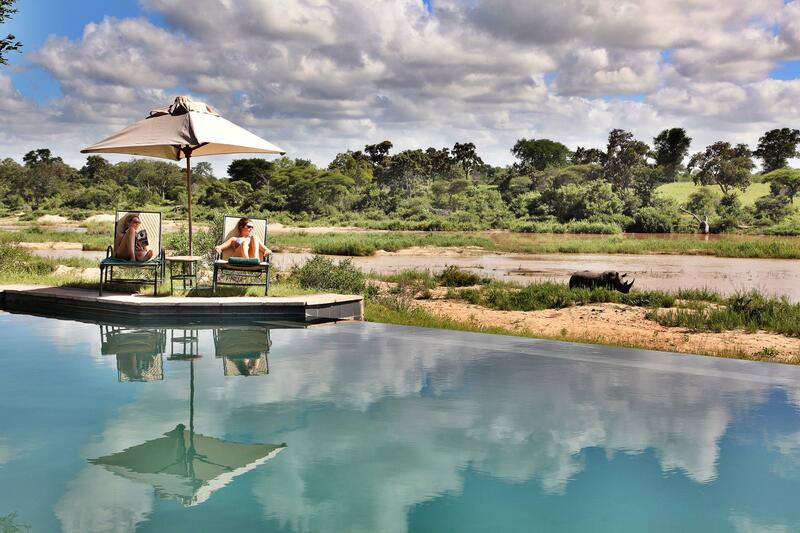 The main area at Tinga is grander, and is set further from the river with a wider view. Pricing is identical. 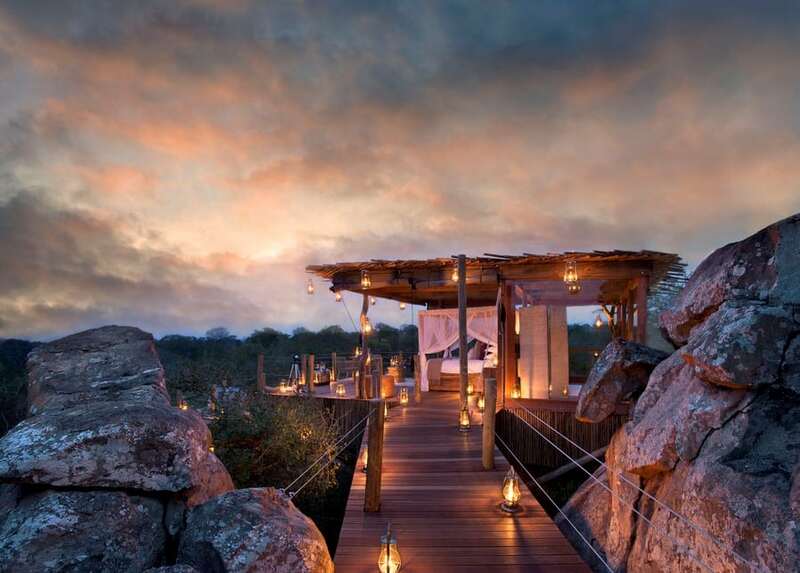 Each lodge has nine luxurious en-suite double suites with large decks, plunge pools and an outside shower. 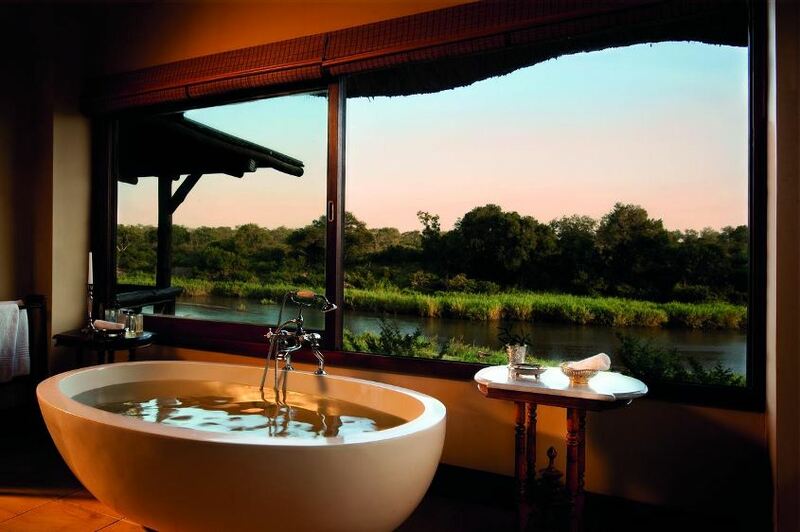 Each suite has a separate bathroom and a lounge area providing plenty of space. There is air-conditioning throughout, and a minibar. 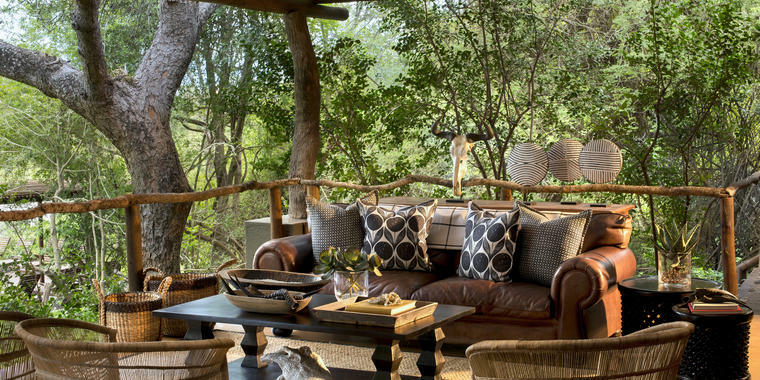 Tinga has a self-contained two-room family villa, Hi’Nkweni, which comes with its own safari vehicle and field guide, giving guests the flexibility to craft their own experience. There are no dangerous raised walkways. Uninterrupted (but subtle) fencing runs around the Villa. 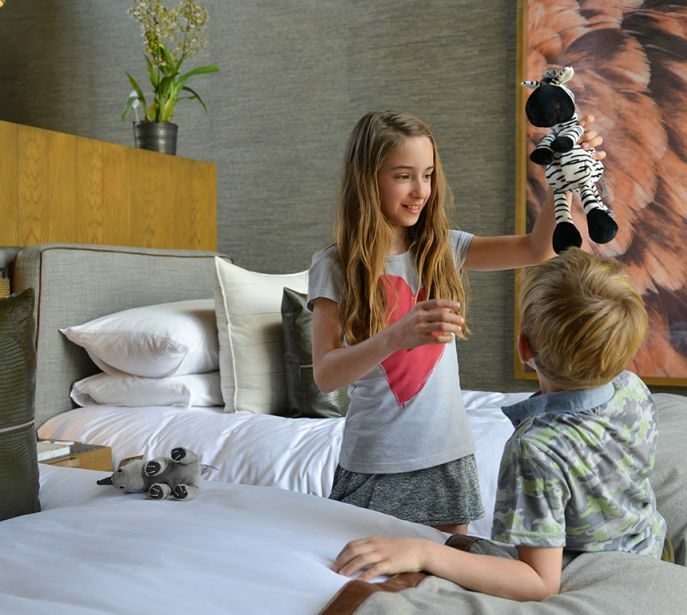 Central areas offer open-plan lounge and dining spaces opening to decks with extensive river views. 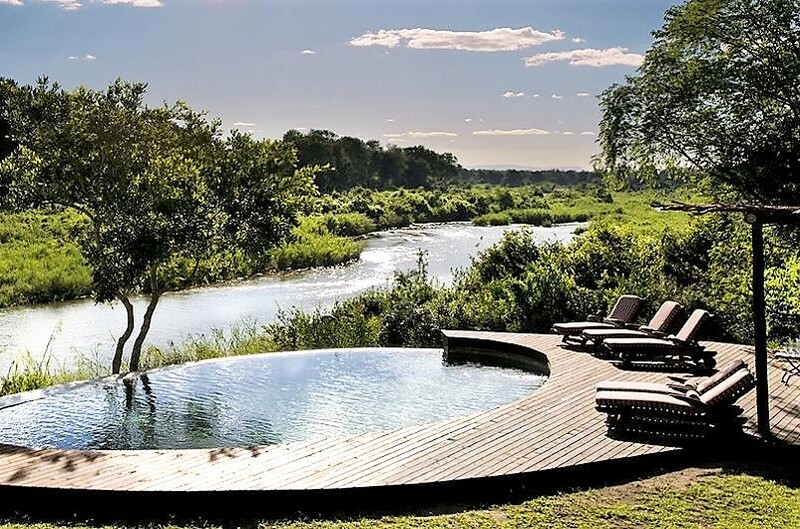 Each lodge has a decent sized pool overlooking the river. A bar is close by. 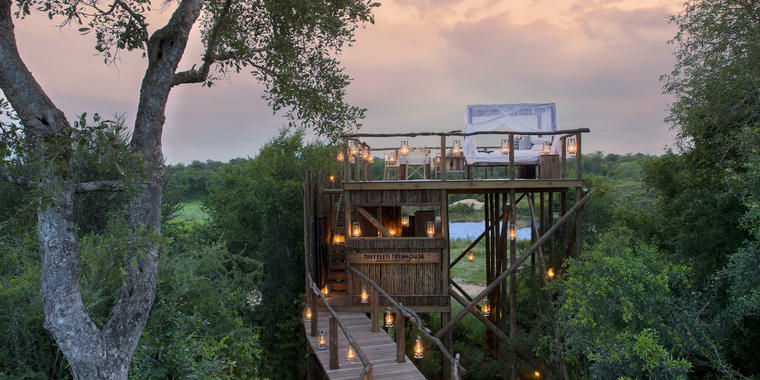 The fabulous Tinyeleti treehouse is here for luxury sleep-outs. 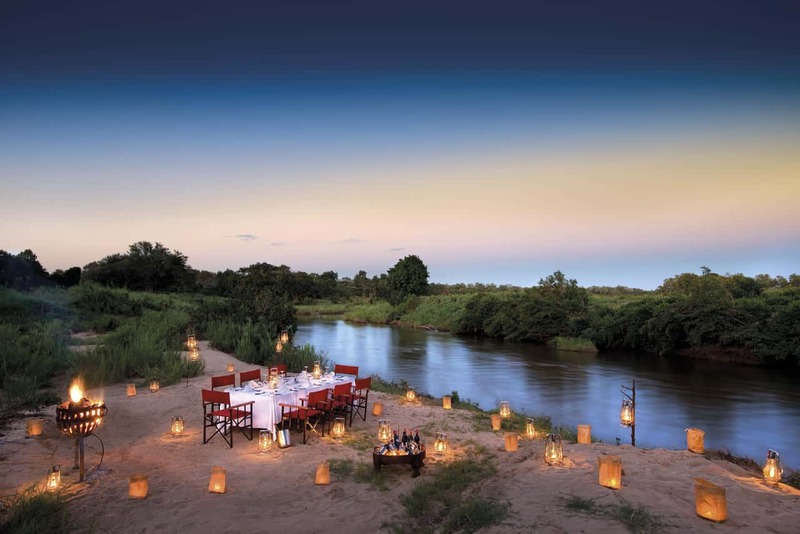 Two classic nights under the stars are also possible in the Lion Sands Sabi Sand concession over the river.